Last week I wrote about a problem that is very familiar to bass fishermen in Lake County Florida, fishing pressure from bass tournaments on the Harris Chain. Most of the time, you can drive by the boat ramp on Lake Eustis and tell by the number of trailers in the parking lot whether you will catch fish or not. If the lot is full, you can guarantee the fishing will be tough. Fortunately, Lake County anglers have many choices when it comes to productive bass water. From my home in Eustis it is only a 45 minute drive to Rodman Reservoir, 30 minutes to the St. Johns River at Sanford and about an hour to Big Lake Toho on the Kissimmee Chain. These famous waters all have great bass fishing but if you really want to get away from the crowds, try some of our smaller local lakes. This week I will share with you two of my favorites. Lake Yale is technically on the Harris Chain but was landlocked long ago when the Lake Yale Canal was closed connecting it to Lake Griffin. Lake Yale is a large lake and has some of the best bass fishing in the county. Rarely does the boat ramp parking lot have over 10 trailers a time. The best thing about Lake Yale is the wonderful offshore fishing. The lake has a hard sand bottom, is deeper than most and is full of humps and ridges that hold good bass that are not pounded by shoreline fisherman. Two other great backup lakes are the Holly Chain west of Umatilla and Lake Dorr north of Altoona in the Ocala National forest. The Holly Chain is a small chain of lakes with clear water and an unusual bottom contour where the deepest water is closest to the shoreline. Top water action is dependable and the lakes are generally deserted except on weekends. These lakes also offer great action for fly rod enthusiasts. In my opinion, Lake Dorr is the most beautiful lake in Florida. The dark stained water mirrors the tall pine forest that surrounds the lake and on a calm day you can easily imagine you are fishing in the remote Canadian wilderness. This lake is interesting in that it has two shorelines, the visible shoreline and a second underwater shoreline farther out that drops off into relatively deep water. The best way to fish this lake is with a Carolina rig. Most of the fish in this lake are near the drop off on the deeper shoreline. I have caught fish over 7 pounds in this lake but most are typical of Ocala Forest bass, small, numerous and feisty. 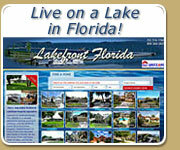 Our area has hundreds of other small lakes and ponds with excellent bass fishing. The next time you are faced with hard fishing, give them a try. You won’t be disappointed.